« Local Beer Local Band–TONIGHT–at Tir Na Nog! 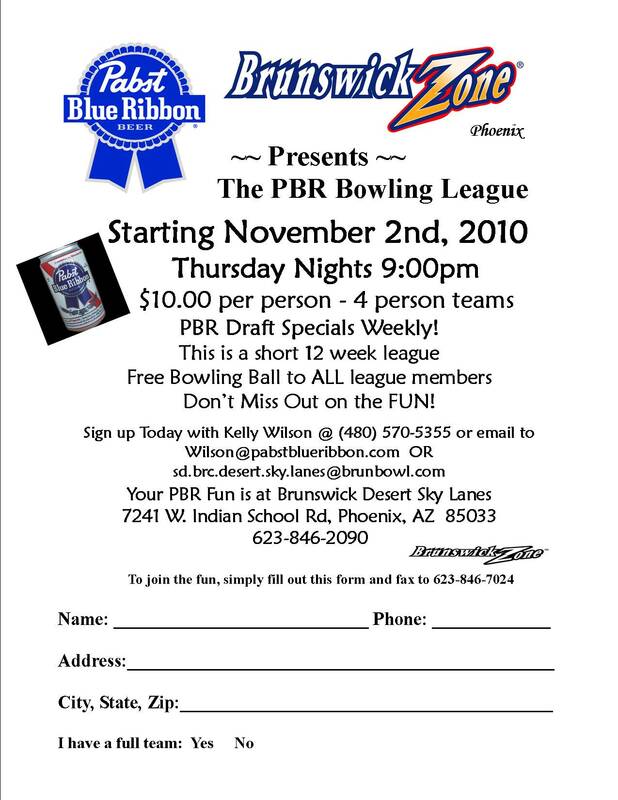 Who’s ready to join the PBR bowling fun? We have PBR Bowling Leagues popping up in new cities every month. I have one starting in north Scottsdale Sunday, Oct. 17 and one in West Phoenix next month. 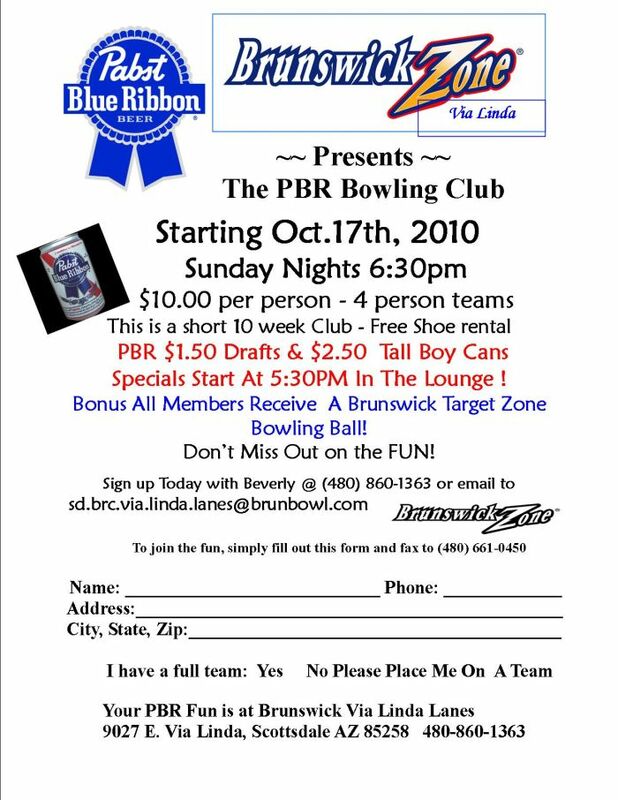 See fliers for info and e-mail me your team of four at Wilson@pabstblueribbon.com You get a free bowling ball and VERY in…expensive PBR drink specials every week. Come join the party! This entry was written by pbrphoenix and posted on October 14, 2010 at 6:16 pm and filed under Uncategorized. Bookmark the permalink. Follow any comments here with the RSS feed for this post. Trackbacks are closed, but you can post a comment. Are you guys going to put together this anymore in Phoenix or Scottsdale… you should.